Much of Hampshire’s charm lies in its natural variety. From its rolling hills and unspoilt coastline to its bustling market towns and pretty villages, the county offers some of southern England’s loveliest views and its proximity to London makes it an increasingly popular destination for weekends away. Not surprising, then, that the standard of the best places to stay in Hampshire is sharply on the rise, with a wide choice for discerning guests. 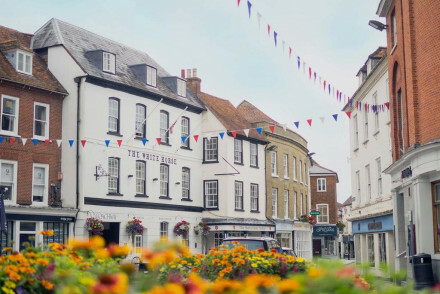 Historic county town Winchester is home to the famous cathedral and boasts lovely Elizabethan and Regency buildings. There's lots to see and do as well as a growing number of excellent cafes, bars and restaurants. Southampton is a large, busy port town - the perfect stopover if you're catching a ferry to France or Spain or about to venture on a cruise. Be sure to check out the HMS Warrior 1860, now kept at Portsmouth's Dockyard. This magnificent ship, Britain's first iron-hulled armoured warship, has been wonderfully restored and is a fascinating visit. Take the whole family to the Hawk Conservancy Trust. Set in 20 acres of parkland, there's more than 130 birds of prey on view, and a number of daily flying displays. A great day out. The historic Winchester Abbey, dating back to 1079, is a must see for history buffs. With wonderful architecture all round (including a huge gothic nave), the interiors are filled with a striking variety of paintings, sculptures and carvings. It's also home to The Winchester Bible, England's oldest bible, dating back to the 12th century. What's more, Winchester Abbey is the resting place of many of the country's most influential people - including, among others, Jane Austen. The Beaulieu National Motor Museum is a splendid spot, home to over 250 vehicles which recount the entire history of motoring. The palace in which it's set is gorgeous in its own right, surrounded by lovely gardens in which to enjoy a picnic afterwards. With incredibly informative staff ready to answer any question you might have, this is a top attraction. Head off on a tour of Highclere Castle, the official Downton Abbey! Set in a beautiful 5,000 acre estate, you can learn all about the property's diverse history including that of Lady Almina, the inspiration for the TV show. The Hotel Guru's selection of the best places to stay in Hampshire endeavours to find something for everyone. 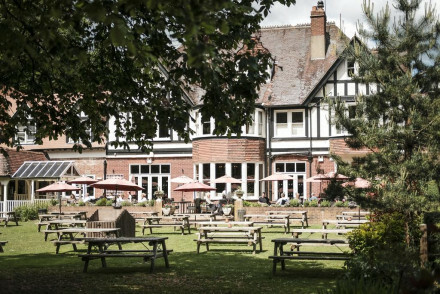 From rural pubs in the New Forest like the extremely popular East End Arms, owned by the former bassist from Dire Straits, to the glamorous and luxurious Lime Wood offering plenty of activities if you can be bothered and fabulous spa facilities if you can't! The Anchor at Froyle oozes traditional character, with smart accommodation boasting exposed brick beams and artwork on the walls (including some WWI poet themed rooms). Filled to the brim with books and featuring private balconies, this is a wonderfully charming country escape. A good alternative would be the Woolpack Inn, just north of Winchester. The property offers rustic chic rooms with exposed stone and brick walls, plus there's great food served up and an outdoor pizza oven. A top family spot. 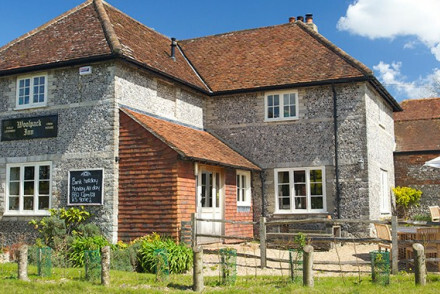 Bourne Valley Inn is a traditional country pub with cosy yet classic accommodation. Enjoy superb meals at their AA Rosette restaurant! What's more, Bourne Valley is home to a number of wonderful hiking trails. 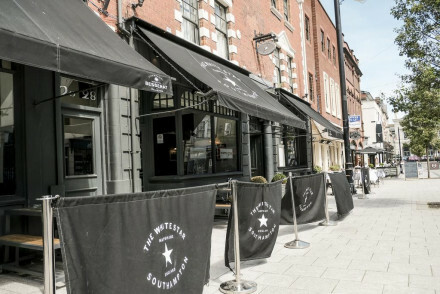 The Westgate is a great option for those looking to get to know Winchester. 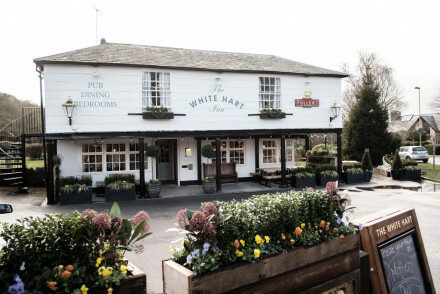 This pub with rooms offers boutique accommodation with plenty of neutral tones and wonderful cuisine. Plus, it's just 20 minutes away from Southampton Airport. The Yew Tree, located right around the corner from Highclere Castle, boasts stylish rooms with tartan prints and reclaimed furnishings. The charming 8 room King's Head, located in Hursley, provides classy accommodation featuring antiques and original fireplaces. You'll love their quintessentially British cuisine and you can enjoy a good book in their snug to wrap up the evening. 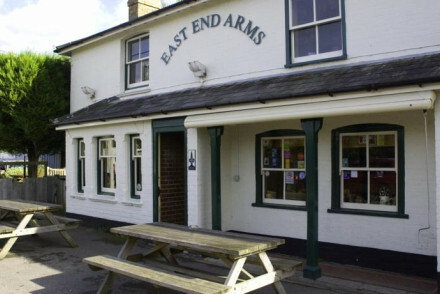 The East End Arms is a wonderful choice for those looking to explore the New Forest - offering comfortable and understated rooms as well as hearty cuisine to fill you up after a long day of hiking. 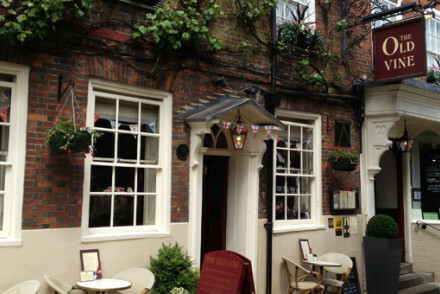 The Old Vine is a popular pub with rooms located opposite Winchester Abbey. With charming grown-up accommodation and a cosy oak-beamed restaurant, it's a splendid choice! 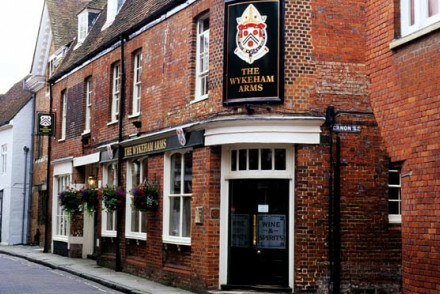 The Wykeham Arms is a characterful 18th century coaching inn, located centrally in Winchester. With elegant individually decorated rooms that are great for couples, it's a wonderful base from which to see the city. 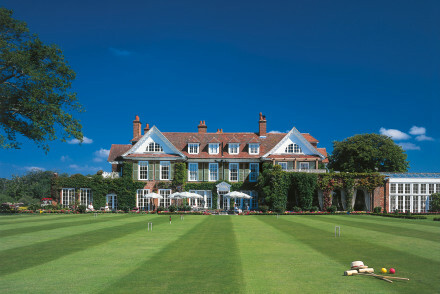 Chewton Glen is the perfect getaway for foodies. There's the Dining Room for superb cuisine and The Kitchen if you prefer things a bit more casual - you can view the chefs at work. Plus there's a variety of courses on offer run by James Martin and a host of other top names. The accommodation is top notch and there's a spa for pampering too. 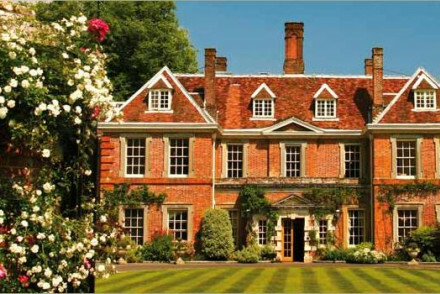 The Montagu Arms is a 17th century country house hotel which offers Michelin starred dining in its Terrace Restaurant. The accommodation is traditional and stylish, with plenty of warm tones and wooden furnishings. 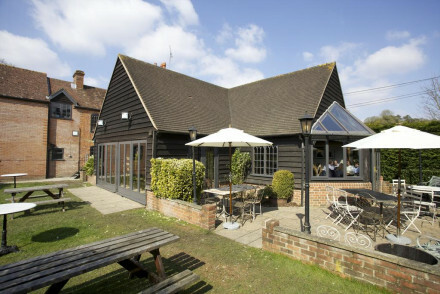 The Mill at Gordleton is a restaurant with rooms enjoying an idyllic riverside setting. 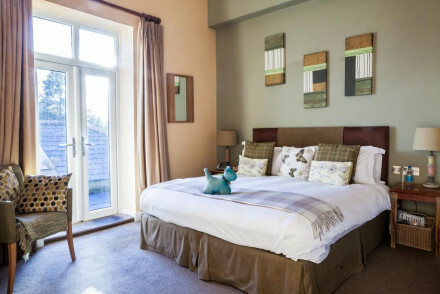 Offering smart, individually decorated rooms and organic food which is mainly locally sourced, this is a top stay. The Three Lions inn offers smart yet unfussy accommodation, however the main attraction is the excellent restaurant. With owner and head chef Michael giving up a Michelin star to cook "what my customers really like to eat", you can be assured of both the quality and the desirability of their food! An English auberge - if that makes any sense! If locally sourced food is one of your bugbears, then stay at The Pig - most of the produce comes from their own kitchen garden, if not they guarantee it will not come from further than 25 miles away! Their lovely rooms expertly blend old with new, and there's a treatment room to boot. The Mayflower provides six individually designed rooms with a nautical theme to them. Enjoy locally sourced dinners at their AA Rosette awarded restaurant. A great spot from which to explore the coast. 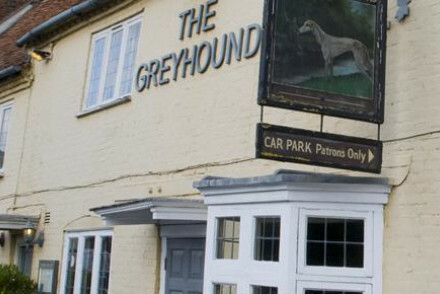 The Greyhound is an award-winning country inn set in picturesque Stockbridge. Boasting incredibly smart country chic rooms with muted Farrow & Ball shades and lovely furnishings, their Savoy-trained chef also serves up delightful cuisine. A great choice all round. Contemporary hotels may seem like a bit of an oddity in Hampshire, but if you're wanting something a little bit different go for the Aviator - a designer hotel on Farnborough Airfield - very sleek, with a definite urban vibe! With the recent proliferation of places to stay in the increasingly popular New Forest National Park, Hampshire is becoming a very busy destination for weekenders. 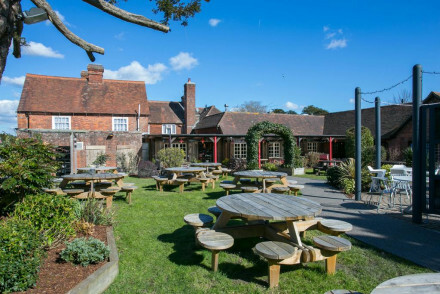 One of our favourites is the Master Builders with a stunning location in Buckler's Hard, great brasserie style food and quirky interiors. 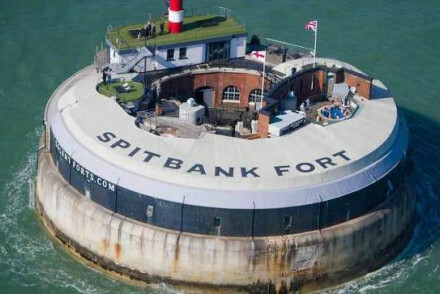 If you fancy an unusual weekend retreat then Spitbank Fort's the place for you! 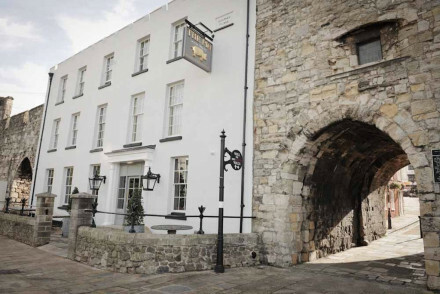 This fort-turned-luxury hotel boasts contemporary interiors filled with an eclectic array of objects, and there's even a hot tub as well as a fire pit on the rooftop! A truly unique stay that you'll never forget. 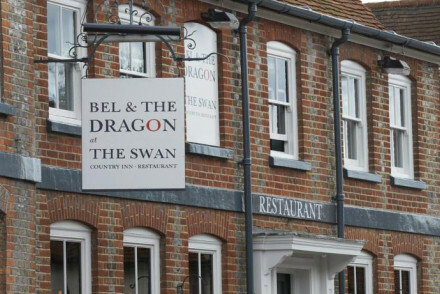 Bel And The Dragon is a great couples spot - with tasteful rooms featuring wooden beams and deep baths. You'll adore their excellent gourmet restaurant and cosy bar, whilst the stunning Highclere Castle is just a short distance away. 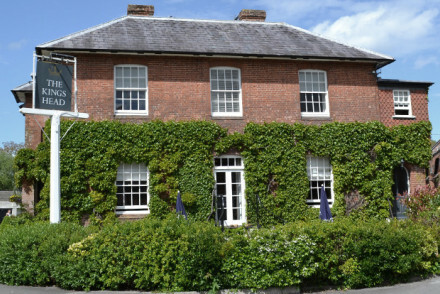 Langrish House is a quintessentially British country house just outside Petersfield. This 17th century property offers traditional rooms featuring warm hues and an atmospheric bar. What's more, their Fredericks restaurant boasts 2 AA Rosettes! 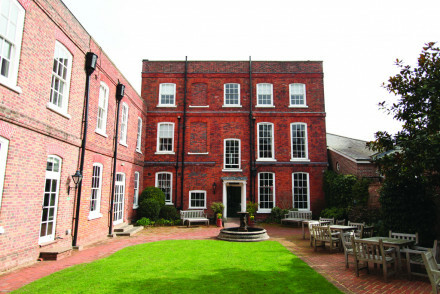 Hannah's B&B is ideally located near central Winchester. With just three individually decorated rooms, the property has a wonderfully intimate atmosphere. Smart, rustic, characterful - and what's more, it's adults only! The Pig in The Wall is a boutique spot located centrally in Southampton. With vintage rooms and lovely breakfasts close to the city's hotspots, it's a choice that the whole family can get behind. 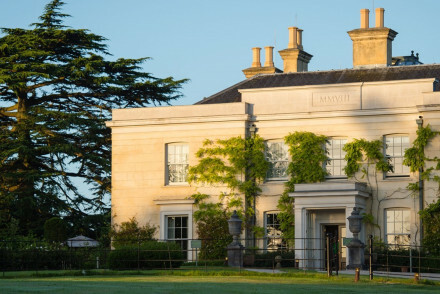 New Park Manor, situated in the New Forest and once Charles II's hunting residence, boasts splendid accommodation and a traditional English restaurant. There's a swimming pool, a creche and a games room for the kids to enjoy, as well as a spa in which the parents can relax! 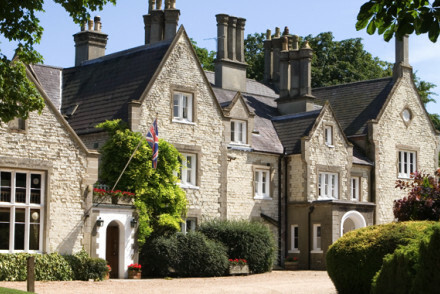 Lime Wood is a glorious luxury hotel set in a refurbished Georgian manor house. Stay in lovely traditional rooms (some of which feature four posters) and enjoy their two restaurants - one formal fine dining and the other more casual. With a state-of-the-art spa as well as kids activities and babysitting facilities, this is a great family stay. Spot in the Woods is a relaxed boutique B&B with on site cafe and deli, where both children and dogs are very welcome. Spacious rooms and great value for money too. Prefer a holiday cottage or apartment? If you think you'd be best suited by a self-catering option then check out the wide variety available with our partner, booking.com. It's best to visit Hampshire during the summer, when the weather's at its nicest - July and August experience average temperatures of around 17°C. Visitors can fly into Southampton Airport, which is served by a number of European destinations. From here, the bus U1C (which leaves every ten minutes) goes to the centre of town for just £2. Alternatively, if you're coming from further afield you can fly into Heathrow which is a couple of hours away. You can then take the train or hop on a National Express Bus towards your destination. Still Not Sure which is the best place to stay in Hampshire for you? Expand your seach to include the best places to stay in Dorset? or refine your search to the Best hotels in the New Forest? or Hampshire's Most Romantic Hotels? Or, feel free to contact one of our friendly gurus! A charming Georgian inn on the northern edge of the New Forest. Individually designed bedrooms offer a comfy oasis after a day's exploring. There's a buzzy bar and the AA rosette restaurant champions locally sourced ingredients. Ideal for outdoorsy types or those wanting a quiet country escape. Great walks - There are endless walking trails on the door step. 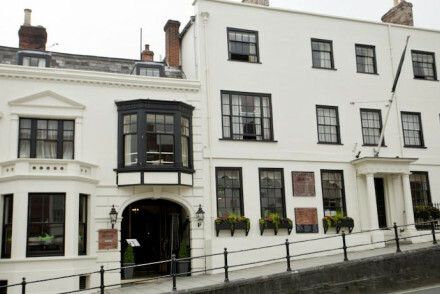 Traditional English boutique hotel in central Southampton. Vintage style rooms with luxurious bathrooms and fantastic breakfasts. Ideal for a city break filled with shopping and history in the city from where Titanic set sail, or perfect for a pre or post cruise stopover. A country escape a step above the rest. Traditional meets modern world comforts in rooms with oh-so comfy beds and huge rain showers. The restaurant is worthy of a visit alone with produce being very locally sourced (often from the garden). Treatment rooms on offer for some pampering. Glorious. Hotel Entertainment - *Smoked & Uncut Festival* Sat 6th July featuring The Vaccines & more. Chef hosted feasting. Glamping on site. Great walks - Borrow a pair of Hunter wellies and set out in to the New Forest. Sights nearby - Visit Beaulieu Abbey, Hurst Castle or Buckler's Hard. Classic and superbly run country house hotel with great attention to detail and a wonderful spa close to the New Forest. Newly built, luxury tree-house bedrooms set high in a scenic valley with panoramic views. 5 star amenities, imitable service and gourmet dining. Country Escape - A gorgeous country house spa, set in 130 acres of parkland at the edge of the magical New Forest. Great walks - Plenty of walking across the 130 acres of parkland, or head into the New Forest. Fishing - There is fishing available nearby, ask at the hotel for details. Scintillating luxury hotel in a superbly redesigned Georgian house in the heart of the New Forest. Wonderfully comfortable beds in large rooms all with unique features including free standing baths, fireplaces or four posters. A sublime restaurant curated by a celebrity chef. Countryside perfection. Foodies - A super chic restaurant, serving Anglo-Italian fare. A product of Lime Wood’s Luke Holder and high-profile chef Angela Hartnett. Hotel Entertainment - *Smoked and Uncut Festival* Featuring Sisters Sledge - Sat 27th July. Fabulous Chef hosted food al fresco with Glamping on site. Families - Extra beds allowed in rooms, kids activities on site and baby sitting facilities makes this an obvious choice for parents. Country Escape - A beautifully renovated country house situated in the heart of one of the UKs finest National Parks. 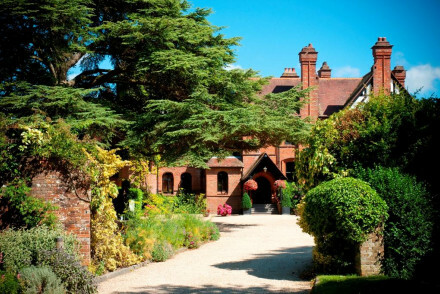 Set within 5 acres of grounds, The Manor At Sway is located in Hampshire's New Forest. This Edwardian property offers smart rooms in natural hues. Tuck into British classics in the restaurant. A relaxing country retreat that's ideal for weekend breaks. Quirky prison-themed B&B that’s both stylish and comfortable with 10 ‘cells’ and nearby sister wine bar, The Black Boy and Michelin star restaurant, The Black Rat. City bolt hole for couples who want something a bit different or solo travellers after solitary confinement! Children are welcome. Foodies - With an excellent wine list and Michelin starred restaurant The Black Rate moments away: foodies will love. City Style - A quirky stay in traditional Winchester. Sights nearby - Winchester Castle and Cathedral are must visits. 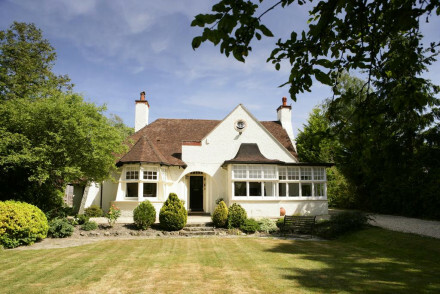 Enjoy a memorable stay at this characterful "home away from home" B&B. Each of the five rooms are filled with artwork and antique pieces; richly coloured fabrics and furnishings. There is also a separate apartment to rent. Enjoy a hearty full English breakfast - fuel for the days outdoor pursuits! 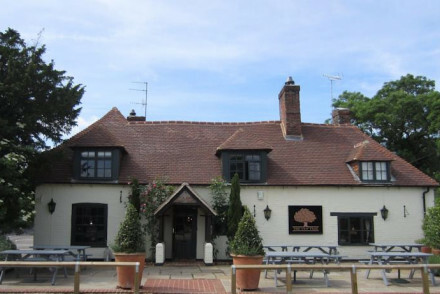 The Bourne Valley Inn is a traditional country pub located in bucolic Hampshire. Rooms are decorated in a cosy yet classic style. AA Rosette dishes are served and the full english breakfast (included in the room rate) and afternoon tea are real treats. Its large gardens are a huge draw too. 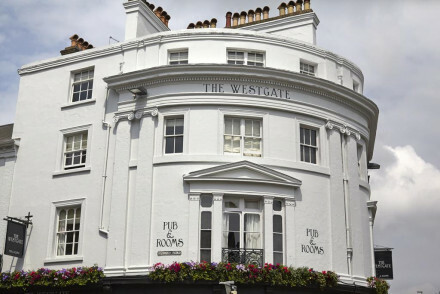 The Westgate is located in Winchester, just a 20 minute drive from Southampton Airport. This pub with rooms offers boutique, unfussy accommodation decorated using plenty of neutral tones. Each room also comes with a coffee table and a flat screen TV. Truly excellent cuisine. An intimate city stay! A characterful inn set in the pretty town of Stockbridge. Rooms are traditional with a contemporary sheen, the walls are white washed, soft tartan fabrics and chic modern lights stand well beside antique furniture. The food is much the same, classic with a modern twist. Country Escape - A cosy pub serving hearty dishes with open fires and easy access to glorious countryside. Great walks - Walk to the top of Farley Mount in pretty Farley Mount Country Park. Fishing - Go fly fishing on the lovely chalk streams of the upper River Test. Sights nearby - Visit the majestic stately home and gardens, Mottisfont Abbey. 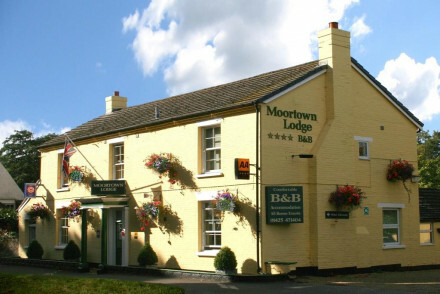 A cosy B&B located in the historic market town of Ringwood. Traditionally dressed rooms feature sash windows, cast iron beds and softly patterned fabrics. The fire lit lounge, sumptuous breakfasts and friendly hosts make this a welcome respite after a day spent in the New Forest. Local exploring - Ideally positioned to access the New Forest, Bournemouth, Poole, Christchurch, Salisbury and Southampton. Local markets - Every Wednesday Ringwood holds a traditional market worthy of a visit. Great walks - Embark on long walks through the glorious New Forest countryside. 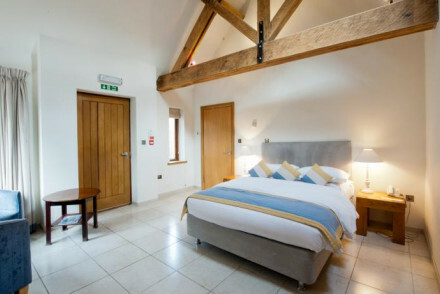 A boutique country inn located in the pretty village of Overton. Rustic chic rooms are beautifully styled with antique furniture, quilted bedspreads and soft hues. The bathrooms are contemporary and spacious. Exemplary pub fare is served in the restaurant. An easy weekend escape from London. Country Escape - A boutique country inn complete with cosy interiors, hearty food, roaring fires amid fabulous countryside. Great walks - Take long scenic walks through the North Wessex Downs or the South Downs National Park. Sights nearby - Take a tour of the fascinating Victorian Whitchurch Silk Mill. 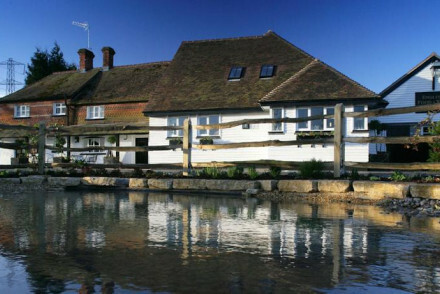 The Anchor Inn is a traditional pub located in prime shooting and fishing country. Full of character with books, pictures, nostalgic bric a brac and WW1 poet themed rooms. Featuring eccentricities such as wooden galleries & quaint private balconies each room is unique. A wonderful country escape. Country Escape - A cosy property boasting far reaching views across some of Hampshire's most bucolic landscapes- perfect for ramblers. Great walks - Wonderful walking starting right from the front door, plus warm fires and hearty meals to greet you on return. Fishing - The two nearby chalkstreams make for great fishing, so don't forget your rods. 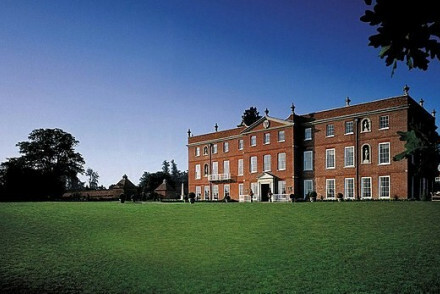 Sights nearby - For a truly Hampshire experience gusets can visit Jane Austen's house. 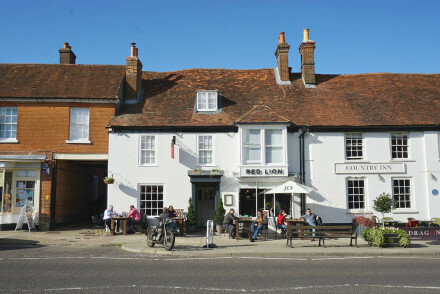 Set in the small Hampshire town of Odiham, The Red Lion is an excellent guesthouse. The rooms are smart and comfortable with beamed ceilings. The restaurant serves excellent fare and there is a selection of fine ales. Local exploring - A great base for exploring the surrounding Hampshire countryside. Sights nearby - Pay a visit to the Cathedral Church of St Michael and St George. 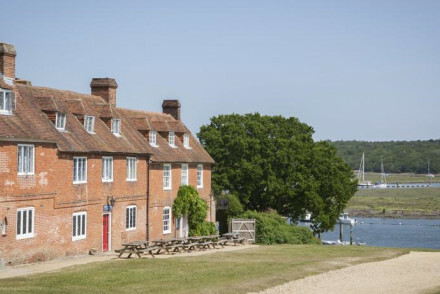 Lovely historic property situated on the Beaulieu River. Maritime themed living rooms downstairs whilst bedrooms have a traditional country feel with the addition of colourful Indian fabrics. An award winning restaurant serves modern British cuisine. A host of activities. Ideal for families. Active Holiday - NFA, situated within the Beaulieu Estate, specialise in outdoor activities suitable both for team building and family fun. Country Escape - A stunning historic and cosy riverside property situated within the 9,000 acre Beaulieu Estate and the New Forest. Local markets - Make a trip to the quaint Lymington Saturday market and sample local foods and drink. Great walks - The very location, within the New Forest, makes this ideal walking terrain. A luxurious inn with the garden backing onto the New Forest. Spacious rooms are elegantly styled with softly patterned fabrics, wooden floors, simple furniture and contemporary bathrooms. Hearty pub fare is served in the restaurant alongside a choice selection of ales. Ideal for rural weekends away. 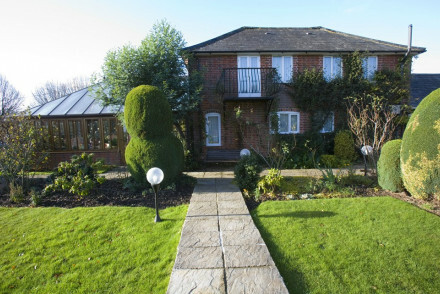 Country Escape - A charming inn backing onto the rugged landscapes of the New Forest and easily accessible from London. Great walks - Find miles of trails running through the New Forest starting right from the property. 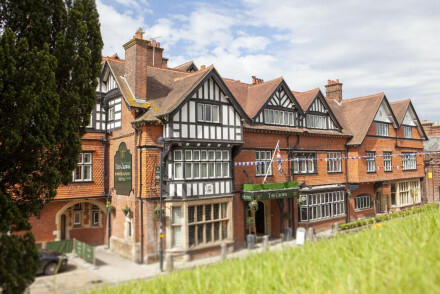 The closest inn to Highclere Castle, The Yew Tree is a firm favourite amongst families and couples making a break from London for the weekend. 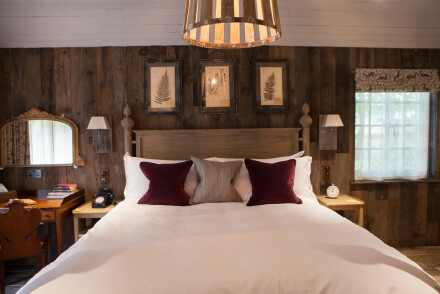 Stylish rooms and interiors feature tartan prints, reclaimed furnishings and novel lighting. Perfectly executed pub grub is the focus of the menu. Tuck in. Sights nearby - Billed as being the closest pub to Highclere Castle it is but moments away. Great walks - Perambulate the nearby Natural Garden. A lovely B&B tucked away in the sleepy Hampshire village of Wickham. The rooms exude an understated elegance with their tasteful furnishings and artwork. After a days exploring, return to La Bocca restaurant for some delicious Italian cuisine. A great value option. Value chic - This charming little B&B offers stylish rooms, excellent cuisine, a cosy bar and great rates- fantastic value for money. 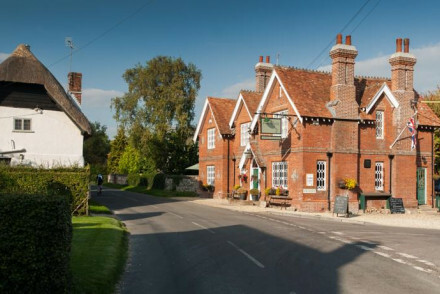 Local exploring - The perfect base for exploring the beautiful Hampshire countryside. Sights nearby - Take a day trip to the picturesque Port Solent, five miles from the hotel. A chic B&B in the heart of the New Forest. Bright, spacious rooms are contemporary in style with the white on white palette only being interrupted by the odd well placed cushion or designer chair. The bathrooms are fabulous too, the best of which have roll top baths. Country Escape - Just an hour and a half from London you will find yourself surrounded by some of the UK's most charming countryside. Great walks - Embark on long walks through the picturesque New Forest. Sights nearby - Visit the majestic Beaulieu Abbey. The Woolpack Inn is a classic, traditional pub with beautifully designed rooms in a tiny rural hamlet. Seven elegant, rustic-chic rooms with exposed stone and brick walls. Great food with daily specials and outdoor wood-fired oven for casual pizzas. A real family friendly country find. 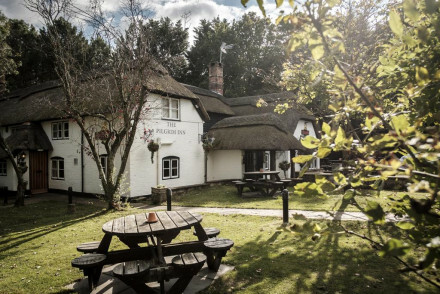 Active Holiday - Being dog friendly & boasting miles of lovely countryside make the Woolpack Inn very popular with shooting parties and ramblers. Romantic Break - An ideal country escape for two- with log fires, sweeping views, cosy rooms, deep soaking tubs and wonderful traditional grub. Great walks - There are a wide range of walks for all abilities on the doorstep, bring your pooch! Fishing - The area is great for fly fishing, which can be arranged from the hotel. 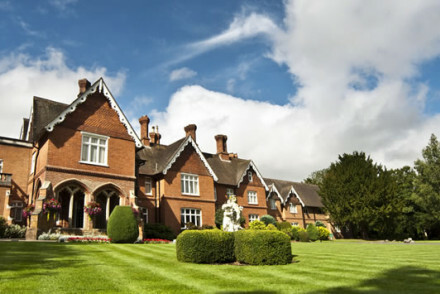 Good value, family friendly country house hotel just outside Basingstoke. Great location for exploring the Winchester area. Traditional bedrooms equipped with all mod cons. Good venue for business activities and weddings. 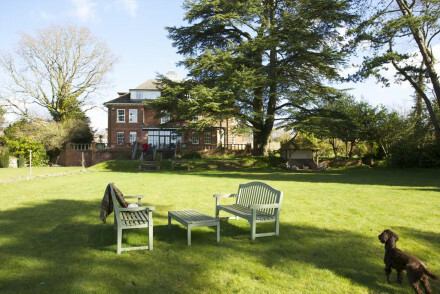 Burley Manor enjoys a serene location in the midst of Hampshire's New Forest. This historic property boasts smart boutique rooms - complete with colourful furnishings and plenty of wooden influences. Mediterranean cuisine served up. An idyllic couples country getaway. A charming pub on the outskirts of the New Forest. An atmospheric bar and restaurant is everything one imagines of a country inn - roaring fires, good ales and hearty food. Upstairs a handful of rooms are chicly styled with parquet flooring, cast iron beds and crisp white linen. Great walks - Take long walks across the rugged landscapes of the New Forest. A delightful fishing inn and refuge for country sports enthusiasts in the beautiful Test Valley. Characterful rooms with warming hues, traditional paintings and tartan fabrics. Wonderful seasonal cuisine on the ever changing menu. Situated in a quaint village, it's the ideal country escape. Active Holiday - Nestled in Hampshire's Test Valley, a veritable Mecca for sporty types with England's best fly fishing, shooting and walking. Hideaway - A cosy country hideaway with plush beds, roaring fires, cheerful bar and hearty cuisine. Sights nearby - Visit the beautiful Longstock Park Water Gardens, reputed to be the most beautiful in England. Great walks - Lovely walks starting straight from the hotel door, and a bar stool awaiting your return! 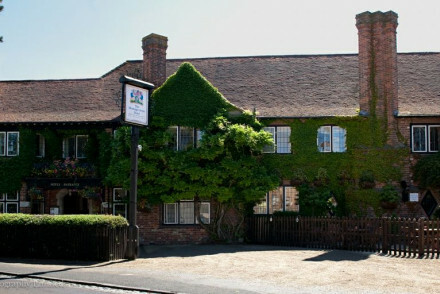 The King's Head is a Georgian coaching inn in historic Hursley. Eight country-chic rooms with antique furnishings, original fireplaces and oodles of charm. Award winning British cuisine featuring locally sourced ingredients and a traditional skittles alley. A wonderful country escape. Genuine village pub that works well both for locals and overnight guests alike owned by the bassist from Dire Straits. Simple fresh rooms are well designed and comfortable. Hearty British fare is served in the restaurant and local ales are on tap. The New Forest is on the doorstep. Country Escape - Has all the quaintness necessary for a quintessentially British rural experience, plus great walking and a cosy bar. Foodies - Wonderful seasonal and locally sourced cuisine, the menu changes twice daily depending on what produce comes in. Sights nearby - Visit the Beaulieu estate and view the stately home, the Abbey and the National Motor Museum. Great walks - Grab a packed lunch, get your wellies on and head straight out into the New Forest. 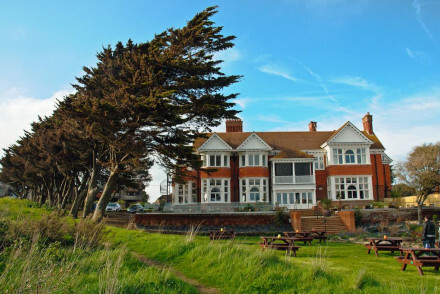 The Mayflower is a smart pub with rooms close to Lymington's marina. Six individually designed rooms, all with a cool nautical theme & one with private balcony. Dinners (AA Rosette standard) feature delicious locally sourced, seasonal fare. A great base for exploring the coast or New Forest. Local exploring - Whether you're a yachtie or land lubber, there's plenty in the surrounding area to keep everyone happy. 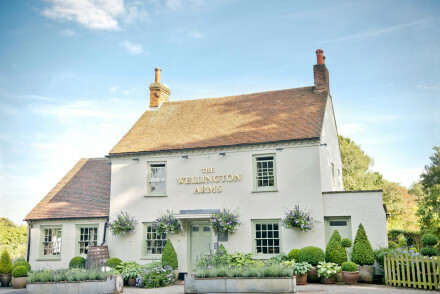 Right on the border of Hampshire and Berkshire, The Wellington Arms is a charming hotel. Founded on the basis of excellent rooms and delicious food served in the restaurant, it's a great option for couples looking for a romantic, rural break. Sights nearby - Twenty minutes drive from Highclere Castle, the filming location of Downton Abbey. Great walks - The surrounding farmland is great for exploring. Local exploring - The Spot in the Woods is a great base for really exploring the New Forest. A charming village inn with a focus on good food and comfortable beds. The elegant rooms are tastefully furnished and feature original wooden beaming and deep bath tubs. Downstairs, there's an excellent gourmet restaurant and the hotel's bar is the perfect cosy sanctuary on a windswept day. Romantic Break - A couples haven- with in room tubs, plush bedding, a cosy bar complete with fireplace and an excellent restaurant. Country Escape - This quaint and charming bolthole makes for an ideal country getaway to the sleepy village of Kingsclere. Sights nearby - History buffs must be sure to visit the nearby Highclere Castle. Great walks - Explore the lovely Hampshire countryside on foot. 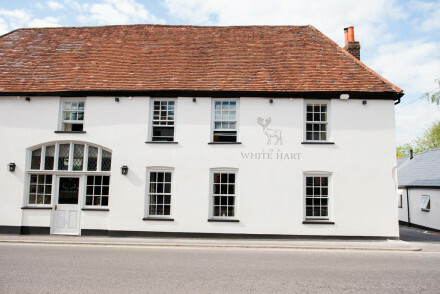 A smart gastro pub in the popular village of Brockenhurst. Chic rooms perfectly mix traditional and contemporary styles. The brightly tiled bathrooms are particularly alluring. A bustling restaurant serves British classics alongside excellent pizzas from the wood-fire oven. Country Escape - The perfect country combination of hearty food and fabulous walks. Great walks - Explore the picturesque countryside of the New Forest on long walks. 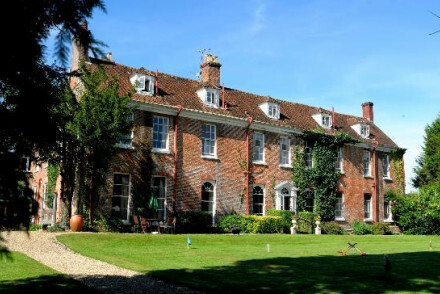 A quintessentially British country house hotel just outside Petersfield. Langrish is a stunning 17th century property with individually styled, chintzy, traditional rooms, a gourmet restaurant and atmospheric bar set in the Vaults. Perfect for a weekend escape & a great base for exploring Hampshire. Sights nearby - There are plenty of country houses, gardens and charming towns and villages to explore close by. Birdwatching - There are a wide variety of species to be spotted in the grounds and surrounding area. A quaint eco hotel in the centre of the New Forest. 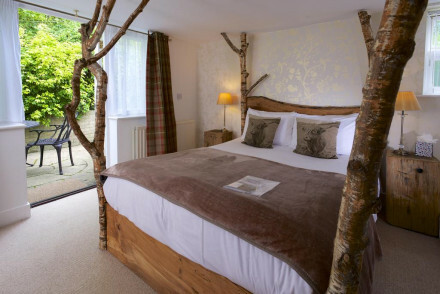 Forest themed throughout so expect beds made from locally sourced wood, animal themed pillows and wicker chairs. Superb restaurant. The best rooms have a balcony. With walks starting right from the front door this is the ideal rural escape. Country Escape - A charming eco-friendly cottage in the heart of the picturesque New Forest. Great walks - Take long walks straight from the property's front door across the rugged landscape of the New Forest. A striking Victorian property located just minutes from the coast. Beautifully renovated throughout. Rooms mix traditional charm with contemporary luxury - think antique furniture, soft pastel hues and indulgent free-standing copper baths. Complete with fabulous bar and restaurant. Rural bliss. 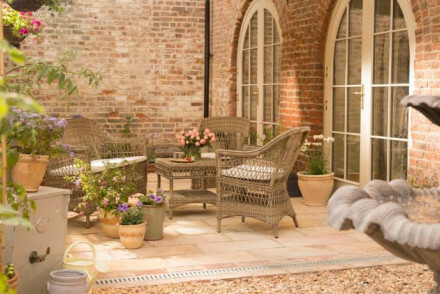 Country Escape - A luxury country house located just minutes from the coast and on the outskirts of the New Forest. Sights nearby - Visit the impressive Hurst Castle located right at the edge of Hurst Spit. Great walks - Take long blustery walks along the scenic coastal paths. Converted village inn housing an excellent, personally run restaurant in the New Forest. Rooms decorated in mellow hues have large glass patio doors leading onto the fine garden. The piece-de-resistance is the restaurant headed by owner and chef. Ideally placed in the New Forest for local exploring. Foodies - The restaurant takes centre stage in this hotel - think gourmet food made with locally sourced and foraged produce. Great walks - Walk straight from the property in to the New Forest or a short drive will take you to coastal walks. Sights nearby - The beautiful Beaulieu estate and Abbey makes a great day trip from the hotel. 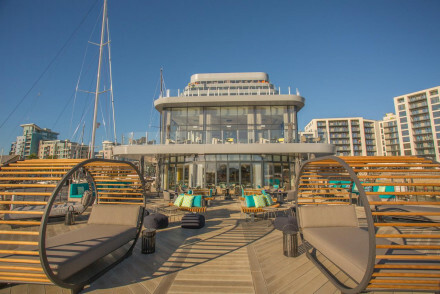 From the right angle, Southampton Harbour Hotel could easily be a super yacht in the marina. Swish and sleek, its luxurious rooms offer fantastic views out over the harbour. The hotel bar is a great place to start the evening off and in the restaurant you will find delicious seasonal dishes. Sailing - Take a trip on a sailing boat out to sea. Sights nearby - Pay a visit to Southampton Guildhall. A luxurious hotel in the heart of Lyndhurst. Spacious rooms perfectly merge traditional and contemporary styles with simple wooden furniture, lux bathrooms and soft hues set besides the buildings original features. A fantastic restaurant and cosy lounge are a welcoming respite. Local exploring - Set in the heart of Lyndhurst both the towns attractions and surrounding New Forest are easily accessible. Great walks - Take long walks through the charming New Forest countryside. 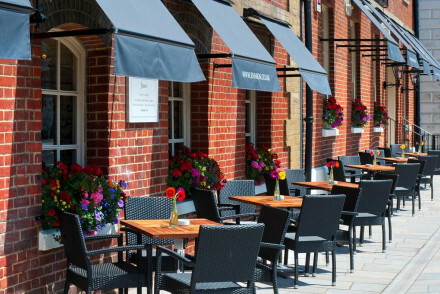 A boutique Inn set on the high street in the centre of Lymington. Contemporary rooms are individually styled with bold wall paper, crisp white linen and simple modern furniture. An excellent restaurant has a seasonally changing menu and offers a choice selection of local ales. Country Escape - With easy access to the expanse of the New Forest this is an ideal property for holidays spent outdoors. Great walks - A short drive from the property finds you in the heart of the National Park with miles of walking trails to be explored. Modernised 17th century country house set in lovely parklands. Large rooms with antique furniture, sash windows and some with four poster beds. Excellent award winning cuisine, cosy bar and fragrant gardens. With plenty of countryside activities nearby, it's the perfect romantic luxury escape. Country Escape - A 17th-century country house escape, set in 63 acres of stunning Hampshire parkland with tennis courts and lovely gardens. Great walks - Wander the charming gardens on the estate, and further afield into the lovely Hampshire countryside. Cooking classes - Make the most of the excellent on site chefs with the in house professional cookery school. Fishing - Hire a ghillie for fishing on the Test or Itchen, a perfect days outing. 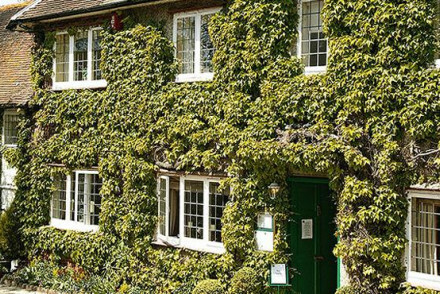 This four star inn is brilliantly placed for people wanting to explore Winchester by foot. The relaxed vibe throughout the hotel makes it great for families whilst charming rooms mean couples will like it too. Hearty meals, fine wines and ales are served in the bistro pub. A welcoming stay. Sights nearby - Winchester Cathedral is round the corner. A smart tavern located in the heart of the city and just a short walk from the harbour. The rooms are chic and contemporary with soft grey hues, simple furnishings and plenty of light. A lively restaurant and bar serves up pub classics alongside a choice selection of real ales. Local exploring - Perfectly located in the centre of the city, ideal for reaching all the main attractions. Sights nearby - Visit the restored 14th century Tudor House and Garden. 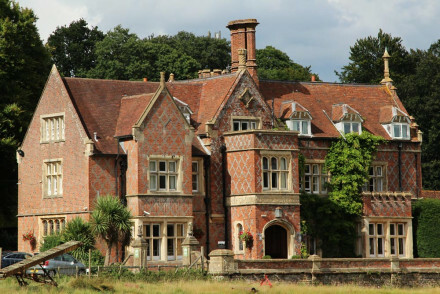 Gothic/tudor style country house hotel set in the depths of the New Forest. Beautiful gardens and traditionally done bedrooms. Dining to suit all tastes and leisure facilities including outdoor swimming pool and gym. 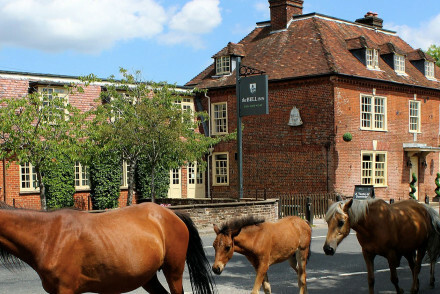 Situated in the stunning New Forest, and once Charles II's hunting residence, this hotel prides itself on its family-friendly facilities. The spa, swimming pool and games rooms mean that no members of the family will be bored. 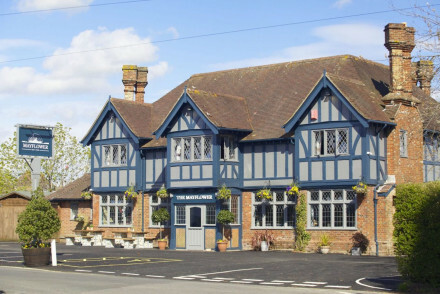 The hotel has its own traditional English restaurant. 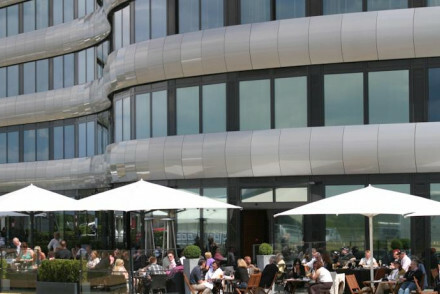 An excellent Italian restaurant complete with a handful of chic rooms located on the harbour. Stylish rooms are all different, but all feature crisp white linen, plenty of light and simple contemporary furniture. The restaurant serves authentic fare and is worthy of a visit alone. Foodies - Come for a touch of authentic Italian fare with a wine list to match. Great walks - Take a stroll through the Sir Harold Hillier Gardens. A delightful award-winning country inn in an idyllic location. Perfect for a weekend break, favoured amongst couples. Rooms and en-suites provide contemporary country chic. great base for walkers and foodies and those into typical country pursuits - fly fishing, walking and shooting. Fishing - The property boasts its own private stretch along the Test River for you to try your hand at fly fishing. Great walks - With wellie boots to borrow and packed lunched available you are all see to complete the Test Way. 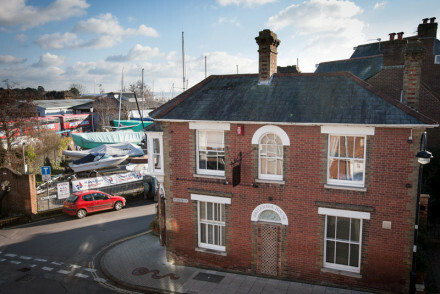 Boutique townhouse hotel in the centre of delightful Lymington. Rooms feature large windows and contemporary chic design. A host of dining options including fine modern European cuisine, private dining and a laid back all day bistro menu. Well priced and placed for local exploring. Local exploring - Situated in the pretty market town of Lymington and right between The Solent and the New Forest National Park. Great walks - Grab a packed lunch and head out to explore the miles of beautiful countryside in the New Forest National Park. Local markets - Lymington's famous Saturday market is not to be missed, packed with the cream of local produce. Sights nearby - Check out the neighbouring historic towns of Winchester, Southampton, Romsey, and Lyndhurst. 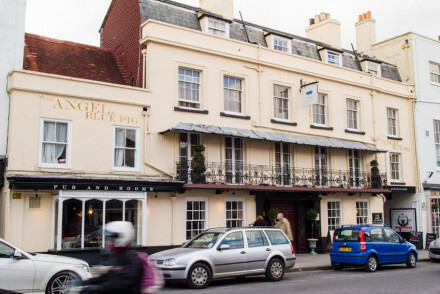 An award winning centrally located pub with comfortable individually decorated guest rooms is well situated, close to the cathedral, for city sight-seeing. Couples will love the cosy romantic feel and friendly, helpful service. Sights nearby - Winchester Catherdral is just a few minutes walk away. Winchester Castle is also worth visiting. Great walks - Embark on a guided walk through historic Roman and Saxon Winchester. 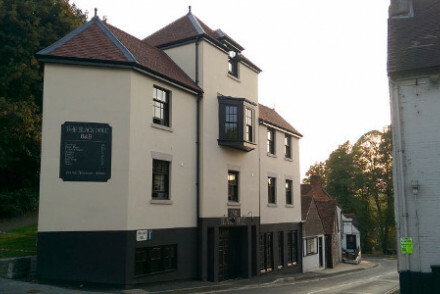 A chic brasserie and hotel in the heart of the market town of Romsey. Individually styled rooms feature sink-into beds, bold wall paper and parquet flooring. The Brasserie, undeniably the star of the show, offers up contemporary British fare. A charming spot for a weekend break. Local exploring - Set in a pretty market town with easy access to all the natural bounties of the New Forest. Sights nearby - Visit Broadlands, the stately home of Lord Mountbatten. Great walks - Take long walks through the picturesque New Forest. Rural restaurant with rooms in an idyllic riverside location with "secret garden" and wildlife galore including kingfishers and heron. Pretty country rooms some of which feature lovely views over the river. Modern British cuisine and a snug bar. Ideally placed on the edge of the New Forest. Foodies - Delicious food, crafted by Chef Toby Hill from only the best local produce- everything you eat is made in house, heaven! Country Escape - A charming converted mill, surrounded by flower filled gardens, right on the outskirts of the New Forest. Sights nearby - Less than 30 minutes away is the medieval Beaulieu Abbey. Great walks - Miles of countryside to be explored in the New Forest. 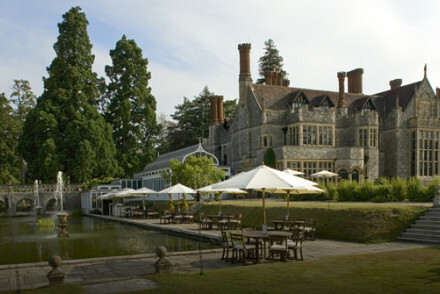 A historic country house, turned hotel, set in the picturesque New Forest. Interiors combine contemporary and traditional styles giving a light and airy feel. A chic restaurant serves up exemplary modern British cuisine but it's the Thai spa that's the real draw. Total relaxation - A quiet country house with easy access to the rugged landscapes of the New Forest and boasting a glorious Thai spa. Great walks - Embark on Puttles Bridge, a 5 mile scenic walk starting from near the property. In an ideal location close to the centre of Winchester and perfect for couples escaping for a city break. Three individually decorated rooms feature charming design quirks such as antique mirrors and lighting, refurbished doors and bedheads and reclaimed Victorian radiators. Great walks - Follow in famous footsteps along the Keats walk. You might just pen a verse or two. Local markets - Winchester Market has a vibrant spread of locally sourced goods. Sights nearby - Winchester Cathedral is a must visit. A quirky designer hotel at Farnborough private airfield. Contemporary rooms (all soundproof) boast every modern connivence, plus the best offer views of the runway. A sleek and opulent luxury getaway for urbanites. Effortlessly cool. Romantic Break - A chic retreat for discerning couples- stylish contemporary suites, extensive spa, fantastic food and knockout cocktails. Foodies - This slick hotel boasts two fantastic dining options- Adam Fargin's Brasserie and the more laid back One Eleven. Birdwatching - Enjoy a brisk walk and a bit of birdwatching at nearby Frensham Little Pond. Great walks - Take a wander around The Sculpture Park in Churt, well worth checking out. The original Hotel du Vin, well located in a fine Georgian building in the town centre. Elegant rooms mixing period features with contemporary design. A warm and welcoming bistro and buzzy bar complete the picture. An excellent base for local exploring. Local exploring - A lovely Georgian property in a central location, ideal for exploring Winchester on foot. Local markets - Winchester plays host to the largest farmers market in the UK, head along and pickup some local treats. Sights nearby - Make a trip to the impressive Cathedral or Wolvesey Castle, both within walking distance. Great walks - The New Forest National Park is a great day trip for all the family. 17th century country house hotel in the heart of the New Forest National Park. Michelin-starred restaurant, library bar, terrace, sumptuous rooms. Spa - Access to Spa at sister hotel Careys Manor. A modernised country house estate with extensive additional modern wings attached. Classic rooms feature high ceilings, sash windows and some with in-room free standing baths. An abundance of country pursuits and spoiling spa. Ideal for the quintessential British country experience. Spa breaks - Indulge yourself in the converted old stables, now an extensive spa using world-renowned products Sodashi and ESPA. Country Escape - An indulgent country estate equipped with tennis courts, sauna, hot tub, spa, fine dining and luxurious suites. Fort-turned-luxury hotel off the South coast with views of Portsmouth and the Isle of Wight. Intimate and unusual, the fort has been successfully converted and is the closest thing to being at sea – except you’re not. Fishing - Perfect location for an exclusive fishing trip.